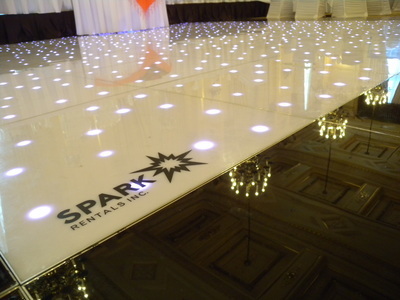 LED Dance Floor - Twilight Pro Rental Winnipeg - Spark Rentals Inc.
^Receive $100.00 worth of Spark Rewards points with any LED Dance Floor rental 12'X12' or larger when you pay your rental in full with cash or cheque one month before your rental date (or at time of booking if later). Or, receive $50.00 worth of Spark Rewards points with any LED Dance Floor rental 12'X12' or larger when you pay your rental with a credit card. 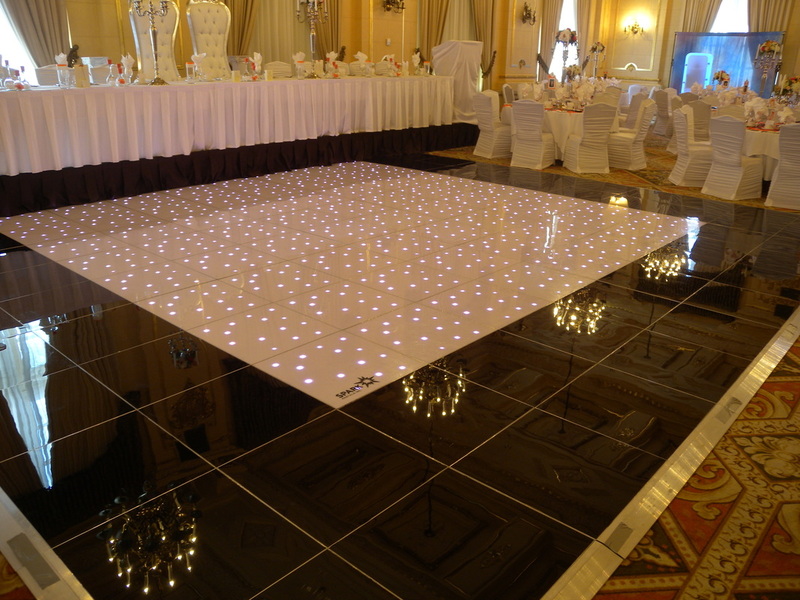 Our Twilight Pro LED Dance Floor consists of a polished white dance floor that comes to life with sparkling LED lights; creating an environment that lets you dance on the stars. Better yet, those stars are created especially for you! 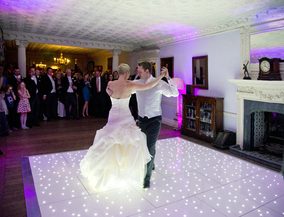 With the Twilight Pro, custom text and designs can be written on the floor. Scrolling text announcing the married couple, or a giant countdown clock counting down to midnight. 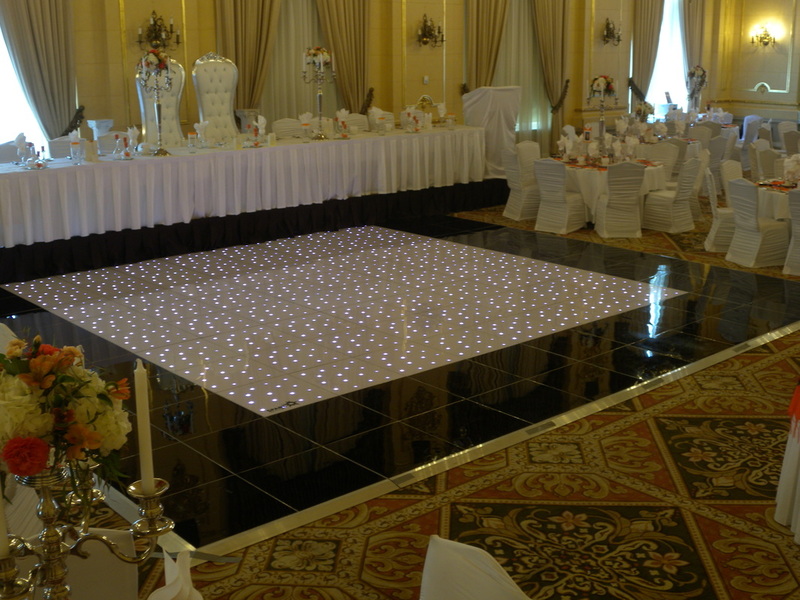 Whether you're looking for an elegant white twinkle for your first dance, or wanting to liven up the dance floor with one of the several unique programs featuring a variety of shimmering colours, the Twilight Pro LED Dance Floor is made for those who want something unique to them. How does it work? Do I need a technician to operate it? If you're choosing the Twilight Pro, it's likely because of the custom text and designs that are available. 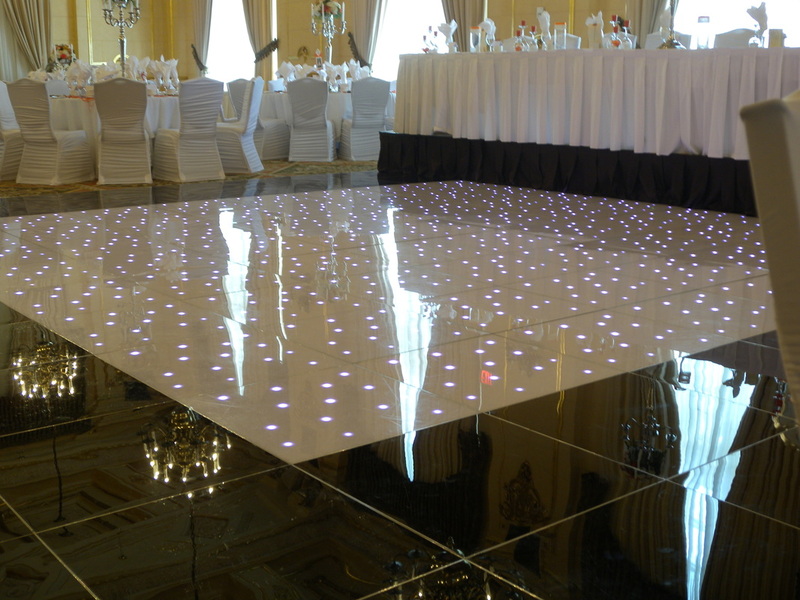 In order to program the floor, you can hire one of our technicians to stay on site during your event to control and operate it and ensure everything goes to your liking. If you're only looking for a black LED dance floor, a technician isn't required. Can I have different dimensions than the ones offered? 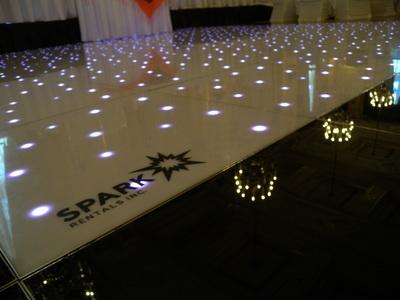 Yes, floors can be rented by the panel, however only the sizes offered will allow for the border ramp edging to fit perfectly. 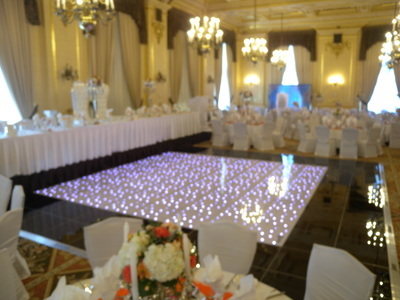 Other dimensions may leave a small gap in the corner or an over extending ramp. I really want an LED Dance Floor but can't afford a large floor, any suggestions? To increase the size of your floor, while minimizing the rental expense, we recommend using our Standard White or Black Dance Floor as a border.